Market application information coming soon. 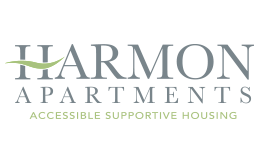 Preference for Boston residents and for persons with disabilities who need the accessible features and supportive services offered by Harmon Apartments. * Income, asset & use restrictions apply. Rents, utility allowance & median income levels based on HUD guidelines (hud.gov). Please inquire in advance for reasonable accommodation. ** Photos, features and amenities represented may vary. Fill in all fields of the fillable form (pdf) - Print, Sign and Date Application. Make sure your application is complete before sending it. Sign and date it!